Given that we now have our first taste of Stormlight 4, do we know what the new spoiler policy will be for advanced chapters/readings? I know @Chaos mentioned that he wasn't thrilled with the way the Oathbringer spoiler stuff worked out. 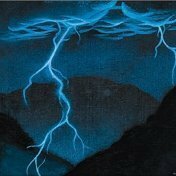 There's already a post in the Stormlight forum about the Planet Comicon reading (with some details in the title). Where are we allowed to post pre-release info, and how should we mark it? I'd mark it [SA 4] until we know the actual title. Try and tag all spoilers. I will need to think about this. I don't know if I really like topic tags. Maybe we'll just do topic tags until the spoiler board is created, but right now it's way too soon for a spoiler board to be made.